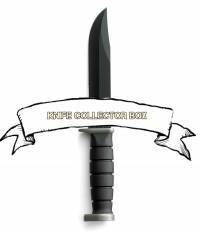 Simply sign up now to start receiving your Knife Collector Box. Once you sign up your first payment will be taken. Your box will then be shipped within 5 days. The date that you sign up will become your monthly billing date. (EG if you sign up on the 5th, you will be billed on the 5th of each month). At any time you can cancel your subscription, we 100% DO NOT tie you into any form of contract. You can also choose to skip a box or change your plan at the click of a button. Receive your package and head out to test your knife! We offer 4 different boxes. Once you have selected your box we will deliver each month. We work with the very best brands in the country to offer you the best kit on the planet. Our BASIC box will contains either one or two basic knives. Brands you could expect are Anglo Arms, whitby, Opinel etc. Our ADVANCED box will contain a mid end knife. You could expect brands such as Kershaw, Cold Steel, Joker etc. Our PRO box will contain knives of a much higher value. you could expect to see knives from buck, cold steel, casstrom etc. Our COLLECTOR box is the ultimate box for the serious collector. This will contain brands such as Ka-BAR, Spyderco, Zero Tolerance etc.